It has been quite a while since I posted anything on here. The last few months have been rather hectic. From school to work, I couldn’t find time to write reviews or continually post on this site. That doesn’t mean I didn’t see any movies since then. In fact I’ve seen most of the movies you could have seen, except the noticeably bad films released in the last few months. A lot of movies that I really liked didn’t make my list and even with such a great summer with some impressive blockbuster, it was hard to keep some off my list. The top three films where difficult because the could be interchangeable at any time. There were some very welcome movies and also very disappointing movies that I was looking forward to. Making this list was rather difficult but I feel that it is a rather well constructed list. By the time I reached number 10, I realized that I didn’t include one of the best reviewed movies of the year. Everyone seems to be putting this at the top of their lists and I can’t deny that it is one of the best constructed movies of the year and a masterpiece, in my opinion. The story is timeless, the editing seamless, and the directing is top notch. The 12 years used to make this movie sets it apart from other movies of this caliber. Why is it at the bottom? When it comes to my list I put movies on it that I would rewatch in a heartbeat. After thinking about it, I haven’t really had the urge to watch Boyhood again. Now matter how impressive the movie may be, I never thought about watching it again. Early on in the year, I believed that no movie could top this movie. To my surprise this year has been a fantastic year for film. 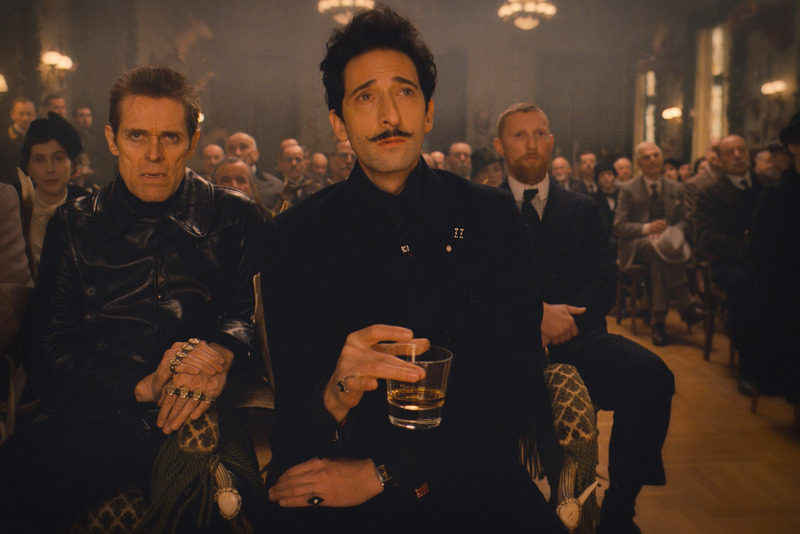 This movie combines everything I love about Wes Anderson. The aesthetic of the film is amazing, while Monsieur Gustave H. is by far the most fascinating character in Anderson’s filmography. The changing aspect ratios was another amazing addition to the movie. This isn’t my favorite of his film but it is certainly one of his greatest achievements. David Fincher is one of my favorite directors working today. He always brings something new to an aged formula. That is one of the reasons that make Gone Girl so unique. Instead of having the major twists saved for the end, the movie decides to reveal it at the end of the first act. It is an intriguing factor that I give both Gillian Flynn and David Fincher for pulling it off so well. What makes this movie even more fascinating is the commentary on both marriage and the media. Everything about this movie is nearly perfect. Rosamund Pick proves her acting chops and even Tyler Perry was able to surprise me, for the first time in his career. Even if I like other of Fincher’s films more, I do think this is a great addition to his impressive filmography. No other movie this has done more with less. So much goes on during the course of the runtime, that it is surprising that it was only 80 minutes long. Tom Hardy has impressed me lately. He is a powerhouse of an actor and he really shines as Ivan Locke. Throughout the movie more and more is revealed and it makes you question both his choices and reasons behind them. For a movie that takes place solely in one location, I couldn’t believe how much and how well they were able to pull it off. I always thought that Scarlett Johansson was all looks and not really a good actor. I was proven wrong when I saw her in Under the Skin. The movies unique approach is impressive and the minimalistic style makes for a haunting and exhilarating experience. It asks questions that movies typically don’t ask. It asks what it is meant to be human but it doesn’t give you all the answers. The visuals are impressive and the score creates a chilling yet unique. I don’t know why I loved this movie so much, it was just so damn fun. James McAvoy is like you’ve never seen him before. He plays the vile and disgusting character so well. The movie isn’t so much about plot but more about how insane his characters become over time. Often times the movie is hilarious but also very sad and depressing. You never truly sympathize with him, you mostly fell bad for him. The ending is so damn perfect for the movie and completely ends the film in a satisfying manner. Christopher Nolan is one of the best blockbuster directors working today. He is able to make the movies that he wants and is able to create some impressive films. His visual eye is incredible. He may have some problems with female characters but this is the first time that I feel he has created some worthwhile female characters. This movie isn’t about space travel as much as it is about love, loss, and fatherhood. There are so many perfect scenes of action but it is the little scenes that Nolan was able to impress me. This is by far his most emotional film to date. You feel the stakes at hand and really sympathize with each character, except for one. 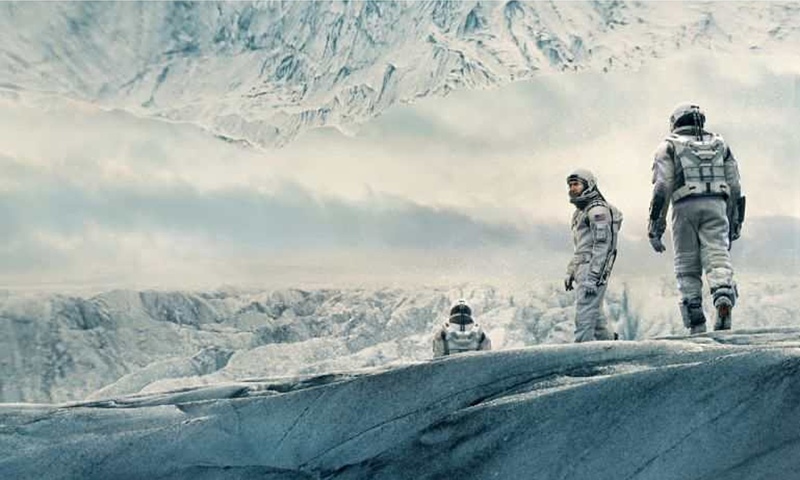 Interstellar impressed me both visually and emotionally. I wasn’t expecting much from this movie. 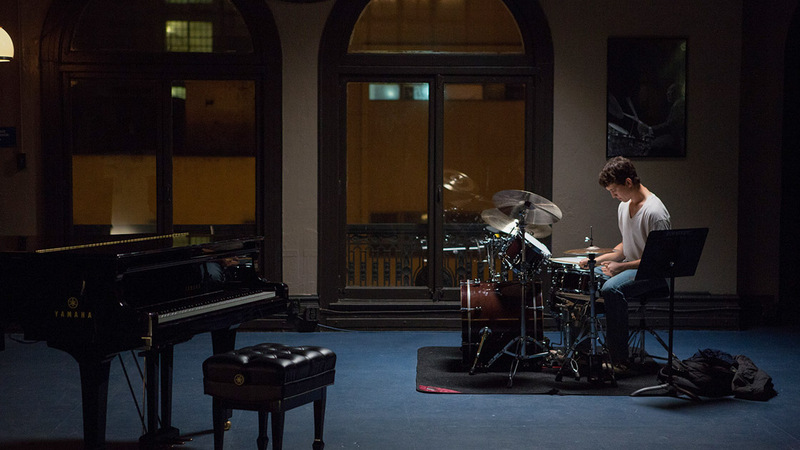 I never really liked Miles Teller and a movie about a jazz drummer didn’t make me want to see it. Once I saw the trailer, that changed. The final product is so intense and awe inspiring that I loved it the minute I walked out. J.K. Simmons gives one of the best performances of the year, he is volatile and intense but somehow relatable. Even Miles Teller impressed me. The final ten minutes had me at the edge of my seat and is incredibly satisfying after all that happens in the movie. This was one movie that surprised the hell out of me. The movie created a character that is both psychotic and wise. He is a man who know what he wants and takes it, no matter what. Jake Gyllenhaal gives the performance of his life. The story is always surprising and you don’t know where it is going to go in the end. The commentary behind this movie is strong and very out there but it works so well. The directing is perfect and the cinematography is breathtaking. More than anything this is a character study and it showcases a character that is completely original and is also a work of genius. 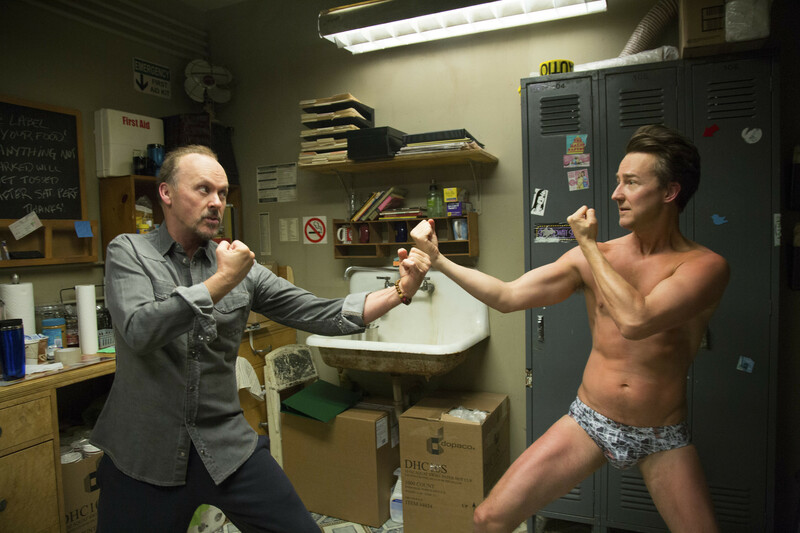 The most surprising and delightful movie of the year goes to Birdman. Alejandro González Iñárritu created such a fascinating experience. He one of the best dramatic directors working today. He is able to get the best performances out of some of the most unexpected actors. Every actor in this movie are going the extra mile. Michael Keaton is revolutionary. He essentially playing a warped version of himself and he convinces everyone that he still does matter. What sets this movie apart from any other film this year is the fact that it is manipulated to look like one take. It is a technical revolution and is impressive in it’s cinematography. A lot had to go into this movie to achieve this feat and boy does it achieve it. There is also a lot of commentary involving the state of hollywood today, critics, and the will to matter. I loved this movie and think it is the best made movie this year. Edge of Tomorrow: An original and fun blockbuster. Not your typical blockbuster but it breaks the model and makes something unique. 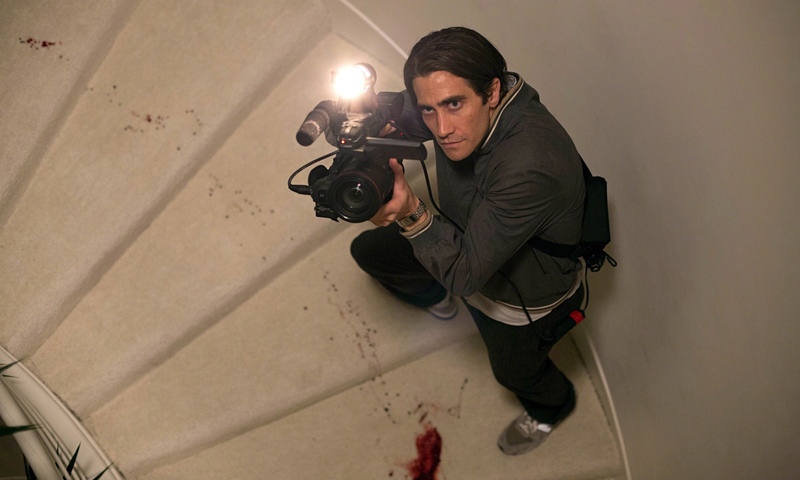 Enemy: An interesting and intelligent thriller that leaves you asking question long after it’s over. Guardians of the Galaxy: A very different Marvel movie and really shows that they can make an interesting movie out of unknown characters. The Rover: Fueled by amazing performances and a simplistic story. This movie creates a landscape fully developed and tension that is equally fascinating and grim. Blue Ruin: A movie that came out of nowhere and managed to create a fascinating and personal portrayal of revenge. Tom Hardy has been on a hot streak lately. He has been acting for quite sometime but it wasn’t until Bronson that he got noticed. His performance in Bronson is nothing short of amazing. He has a raw intensity that really elevates a rather simple movie. He entered the game in Black Hawk Down and acted in smaller roles is plenty of movies including the main villain in Star Trek: Nemesis but really didn’t get the street credit that he does now. Inception was the next movie where he really stood out. Working with Christopher Nolan really expedited his career in the best possible way. He brought complexity to a character who didn’t get enough screen time. Not long afterwards he played the character Tommy Riordan in Warrior which was another performance showcasing his ability to make a treating and imposing character while also grounding him reality. Before Warrior and after Inception, Hardy was cast as the villain Bane in The Dark Knight Rises, a perfect casting considering his roles in Warrior and Bronson. The Dark Knight Rises made him the house hold name that he is today. He was able to express sincere emotion while wearing a mask that covered the majority of his face. 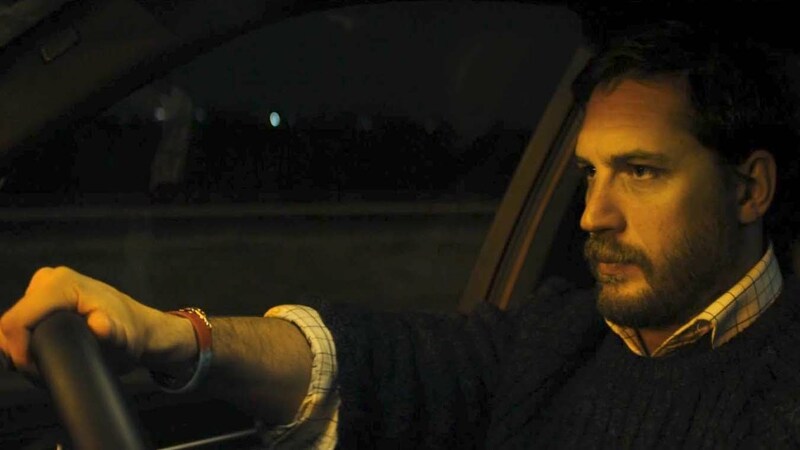 Even in the poorly received This Means War, Hardy is able to bring some depth to his character. It wasn’t until Locke that he was able to use the extent of his talent. He gives a stunning performance as Ivan Locke, a construction manager and his tough decision between his job, wife, and the destructive force that will tear everything apart. 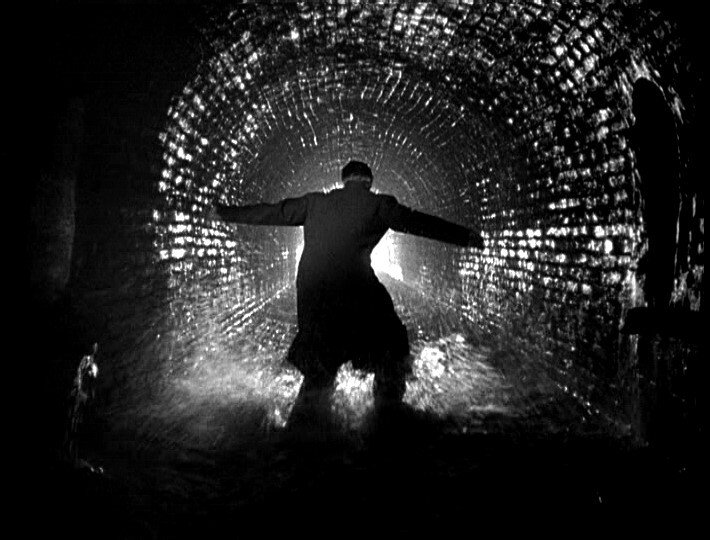 Set in a singular location the entire film rests on Hardy’s shoulders and he is able to carry the movie and elevate his talent. Even The Drop (review in progress) even with two other fantastic performances from James Gandolfini and Matthias Schoernaerts, who is just as powerful an actor you are unable to take your eyes of his performance. Sometimes an actor will play the same character in every movie, I’m looking at you Tom Cruise, but you never once think that Tom Hardy is imitating the same character but instead creating a completely new character every time. I think this is what makes Tom Hardy the powerhouse actor that he is. Christopher Nolan has been on a hot streak since Batman Begins. He has now become one of the most well known directors working today. His fresh take on the Batman saga has influenced blockbusters since. Intersteller looks to be something completely different than we are use to. Like Inception it takes an interesting concept and makes it into a blockbuster. Science Fiction has become increasingly popular and last year is probably one of the most successful year of the genre. Gravity was so close to winning Best Picture and Her was not far behind. Intersteller may have a similar run. The trailer is brilliant and showcases the incredible visuals that this movie is bound to have. It may turn out to be too experimental for the crowd that tends to go to these types of movies. The premise sounds insane but not exactly something that people will understand. He makes his audience think and if this film is anything like the film that influenced it, 2001: A Space Odyssey, than we might have the next great science fiction film. When a wormhole (which theoretically can connect widely-separated regions of spacetime) is discovered, explorers and scientists unite to embark on a voyage through it, transcending the limits of human space travel. Among the travelers is a widowed engineer (McConaughey) who has to decide to leave behind his two children to join the voyage to another galaxy with the goal of saving humanity. Directed by Christopher Nolan. Starring Matthew McConaughey, Anne Hathaway, Jessica Chastain, Bill Irwin, Ellen Burstyn, Michael Caine, Casey Affleck, Topher Grace, John Lithgow, David Gyasi, and Wes Bentley. Produced by Paramount Pictures and Warner Bros. Pictures. 2001: A Space Odyssey24 Hour DaysAcademy AwardsAl PacinoAlaskaAnne HathawayBatman BeginsBill IrwinBreath TakingBrilliantCasey AffleckChristian BaleChristopher NolanConfusingCriterion CollectionDavid GyasiEllen BurstynFollowingHugh JackmanInceptionInsomniaIntellectualInterstellerJessica ChastainJohn LithgowJourney Through Time and SpaceLeonardo DiCaprioMatthew McConaugheyMementoMichael CaineRobin WilliamsSerial KillerThe Dark KnightThe Dark Knight RisesThe PrestigeThinkingTopher GraceVisual StrikingWes Bentley. 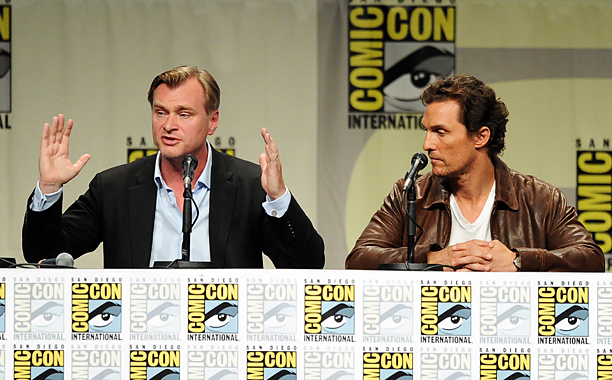 I’m surprised by the fact that Christopher Nolan hasn’t been to San Diego Comic Con yet. Given that he directed three of the most popular comic book movies to date and this is the place that these movies thrive. I’m excited for Intersteller and to see what Nolan brings to the table. I’m not a fan of San Diego Comic Con in general but the amount of movie news that debut here is astonishing. Intersteller is set to be released November 7th, 2014. Directed by Christopher Nolan and released by Warner Brothers Picture. It is a sad thing that such a tragedy occurred last night during the screen of The Dark Knight Rises that happened in Colorado. I can’t believe that someone would do such a horrible thing during a movie screen into unsuspecting audience members. The family member of the deceased and the wounded are in my prays and hope that everything is okay. RIP. I did manage to see a midnight screening of this movie and I have to say that it completely lives up to expectations. With a smart screenplay and the action sequences, which the previous movies seemed to lack for the most part, and that Bane was actually a perfect choice for the villain since he is able to go head to head in fighting with Batman. He is completely menacing with a voice that both creeped me out and served a purpose since the mask covered the majority of his face and Tom Hardy was able to convey such emotion and body language while being some what limited with the mask in the way. Christopher Nolan has yet again made an accomplished movie that satisfying end to his trilogy that will not disappoint anyone. Christopher Nolan seems to be able make awesome ending to movie, while Batman Begins and The Dark Knight had some what of cliff hangers, since he made millions of people question what the ending of Inception really meant. The ending of this movie can really be interpreted anyway that someone wants, I’m not going to spoil it but it was a fantastic way of ending the movie. Christopher Nolan’s Batman trilogy concludes with this Warner Brothers release that finds The Dark Knight pitted against Bane, an unstoppable foe possessed of tremendous physical and intellectual strength. Nearly a decade after taking the fall for Harvey Dent’s death and disappearing into the darkness, a fugitive Batman (Christian Bale) watches from the shadows as the Dent Act keeps the streets of Gotham City free of crime. Meanwhile, an elusive cat burglar seizes the chance to strike, and a masked anarchist plots a devastating series of attacks designed to lure Bruce Wayne out of the shadows. Determined not to abandon the people who he once risked his life to protect, The Dark Knight emerges from his self-imposed exile ready to fight. But Bane (Tom Hardy) is ready, too, and once Batman is within his grasp, he will do everything in his power to break Gotham City’s shadowy savior. It is a strange thing to see such a movie series end, like Lord of the Rings, I was glad that they ended it on a good note. So far this is by far Nolan’s best shot film, the visuals are fantastic such as the Bat soaring through the sky with ease and a thousand extras flooding the streets in a massive brawl. I have to say that the cinematography is by far the best that Wally Pfister has shot, next to Inception that is. The best scene that I thought was the first encounter that Batman has with Bane, it takes place in the sewers on top of a bridge. The music cuts out and all you hear is the noises that are made during the fighting, no epic theme or background music which just added to the effect, and the constant monologuing by the menacing villain which made the scene even more intense because it all ties the plot together, and I can’t help but say the fact that he says the line from the comic that made him famous, it all shows that Nolan has taken the comic counter part of Bane serious and valued the comic Knightfall when creating the visually stunning scene. Another fantastic addition to the cast was Anne Hathaway, who I had doubts at the start but changed my opinion of her character drastically. So far Nolan has been criticized for having weak female characters in his film but with his addition of Selena Kyle is by far one of the strongest and most interesting characters of the series and Anne Hathaway complete embodies Selena Kyle and completely steals the show. 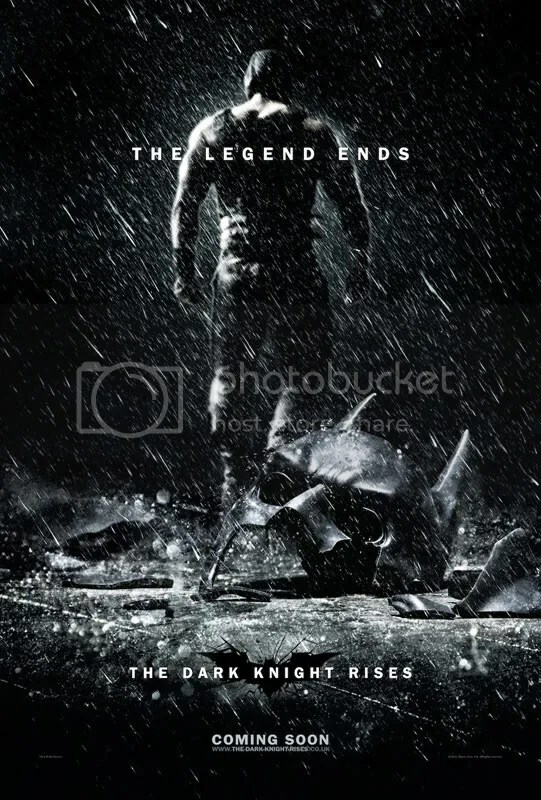 If I consider this anything it is a story about Bruce Wayne and not Batman, he has to learn how to overcome his shortcomings and take his place back as the Batman, trying to get the mindset back after 8 years in seclusion and Christian Bale does the best performance so far as the billion dollar philanthropist. Outside of that it is about social injustice and social anarchy when presented with a difficult position during the times of suffering. Bane brings in an army and creates a revolution for Gotham’s lesser citizens to rise up and take control of the city from the rich, sounds a bit like the Occupy Wall Street protest. With all those subtext and themes it makes it a much more realistic story and really represents what we have gone through in the last few months and is another reason it sets itself apart from the rest of the comic book movies of this summer, which are all well and fun but lack that certain something that makes these Batman films such excellent film and something that makes people return for more. Like I said about the other films Nolan knows how to both create entertaining movie and yet keep them thought provoking and excellent filmmaking from one of the best working directors of today.